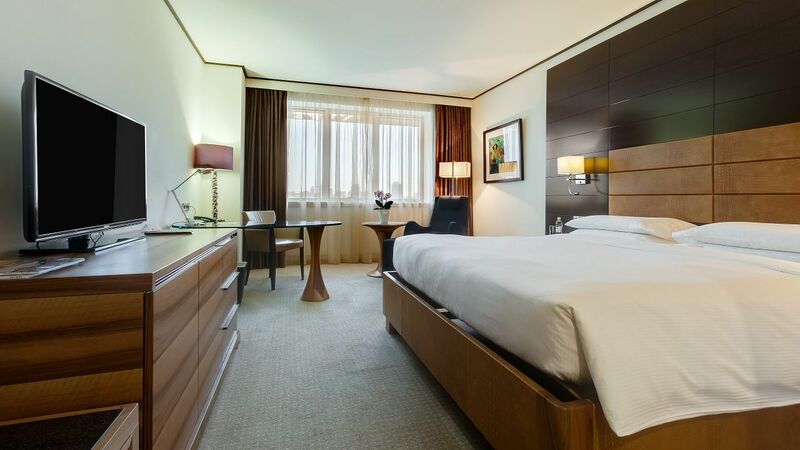 Hyatt Regency Kiev offers luxury accommodation in the city center of Kiev with 234 rooms, including suites. Choose a Deluxe room to enjoy stunning views, or opt for a Regency Club Room for exclusive access to the lounge with refreshments throughout the day. 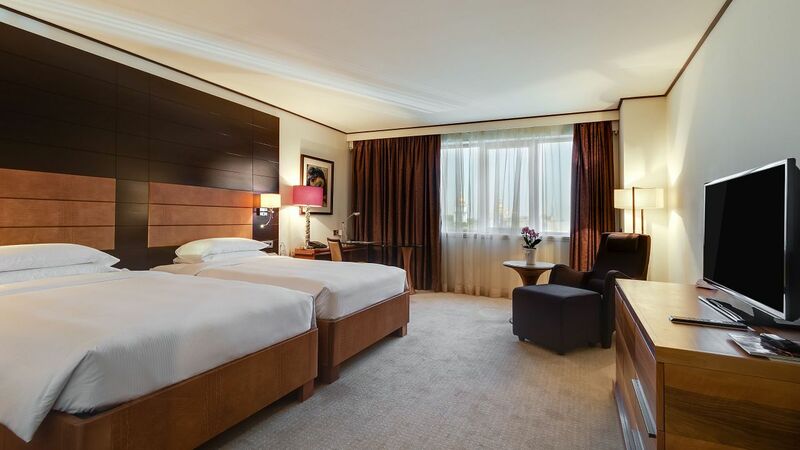 Whether you are exploring the city's favorite attractions or traveling for business, you are sure to find comfort and relaxation at Hyatt Regency Kiev. 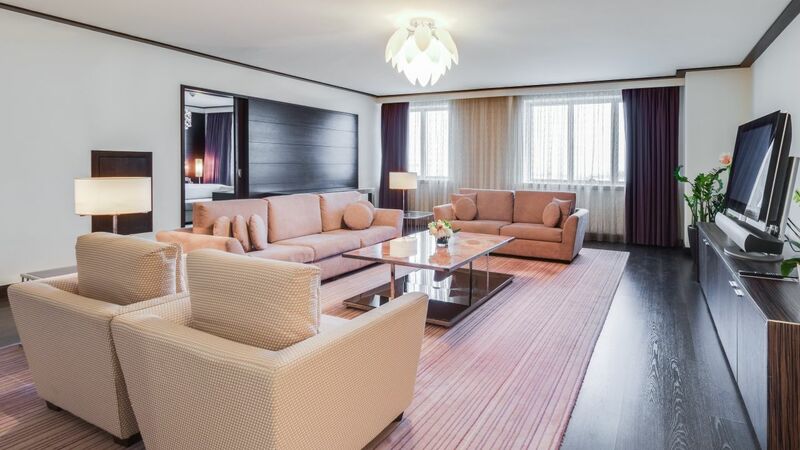 Experience true luxury in this 210-square-meter top-floor suite, featuring a terrace with magnificent city views, private elevator, one king bedroom, bathroom with walk-in shower and bath tub; separate living, dining and work area; and kitchenette This is a premium suite. See World of Hyatt program terms for upgrade eligibility. 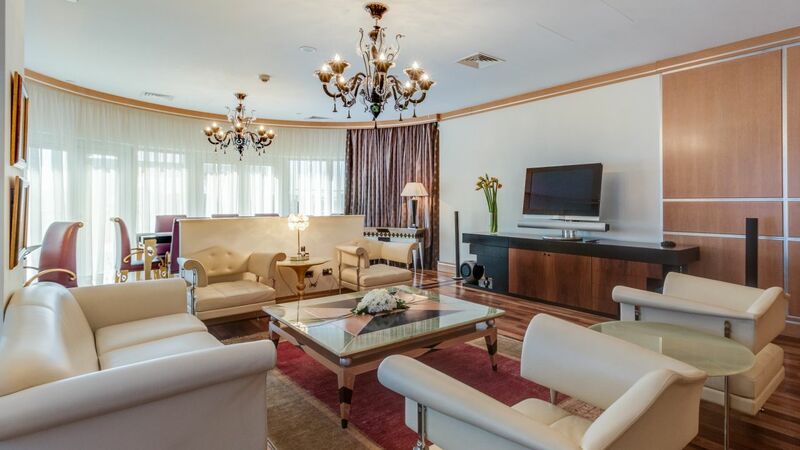 This top-floor 140-square-meter suite boasts separate living and dining areas; one king bedroom; kitchenette; guest bathroom; and marble master bathroom with personal TV, separate bath tub and shower. This is a premium suite. See World of Hyatt program terms for upgrade eligibility. Indulge in this 105-square-meter suite with one king bedroom, a separate living area, work desk, and a marble bathroom with bath tub and walk-in rain shower. This is a premium suite. See World of Hyatt program terms for upgrade eligibility. 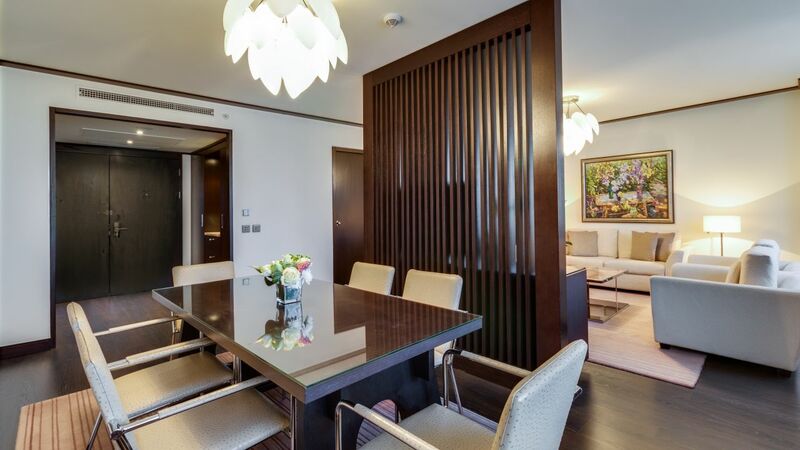 This 70-square-metre suite offers scenic city views, a sitting and dining area; one king bedroom; work desk; and marble bathroom with bath tub and walk-in shower This is a standard suite. See World of Hyatt program terms for upgrade eligibility. 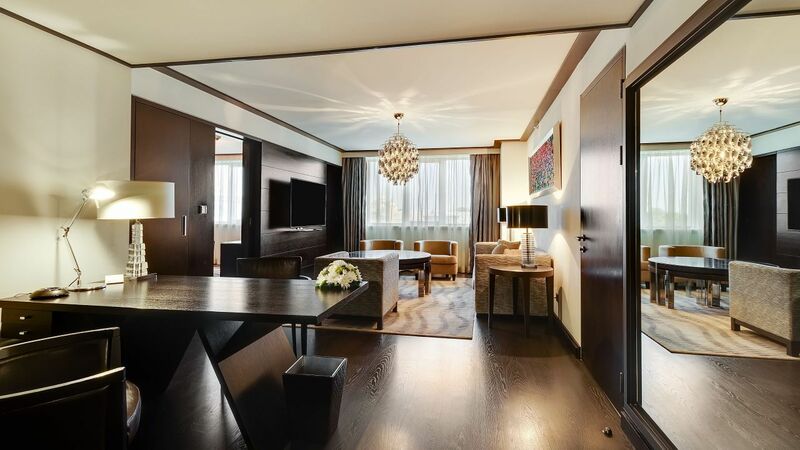 This 50-square-meter suite boasts a generous living and work area, one king bed, a contemporary design with dark parquet flooring, and Regency Club privileges This is a standard suite. See World of Hyatt program terms for upgrade eligibility. 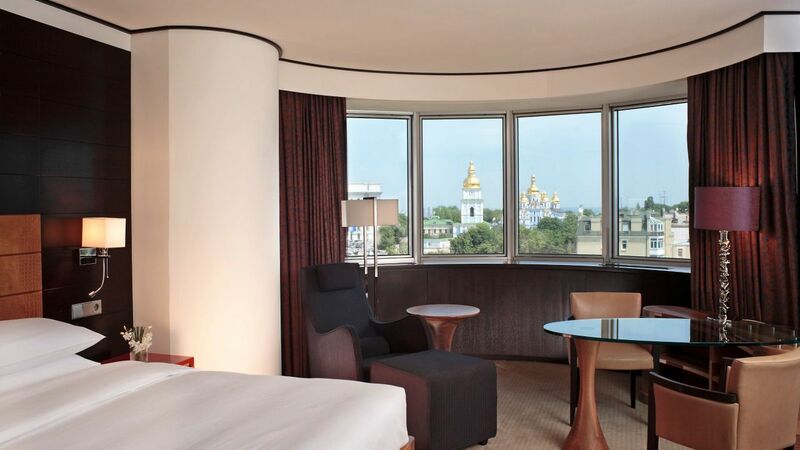 Enjoy views of Kiev's most famous landmarks from this 38-square-meter room with one king bed, work desk, and marble bathroom with bath tub and walk-in shower. 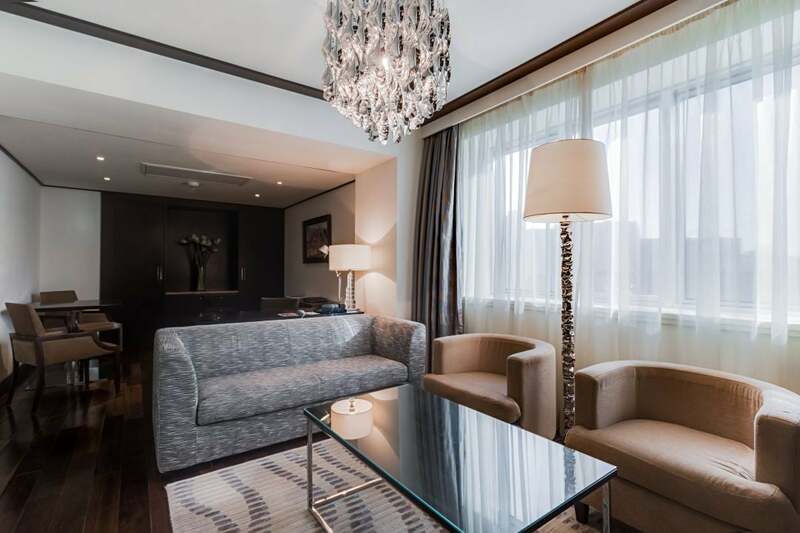 Enjoy views of Kiev's most famous landmarks from this 38-square-meter room with two twin beds, work desk, and marble bathroom with bath tub and walk-in shower. Indulge in this modern 35-square-meter room featuring one king bed, work desk, marble bathroom with bath tub and walk-in shower, and Regency Club privileges. 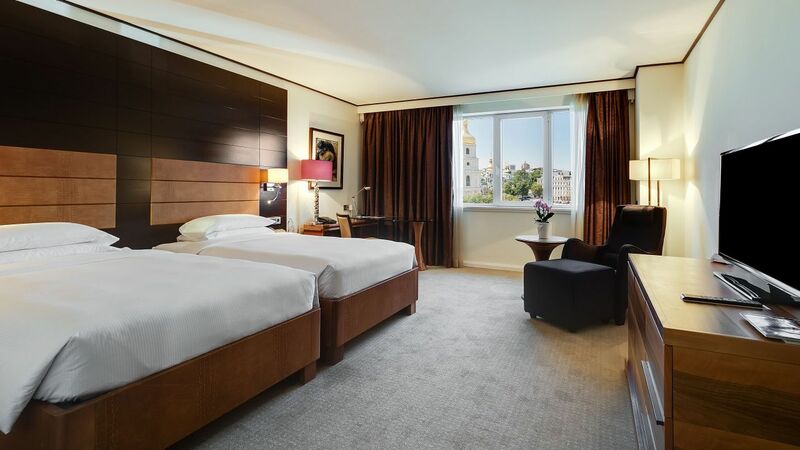 Enjoy this modern 35-square-meter room with Regency Club access and offering two twin beds, work desk, and marble bathroom with bath tub and walk-in shower. Unwind in this 35-square-meter room with one king bed, work desk, and a marble bathroom with bath tub and walk-in shower. Relax in this 35-square-meter room with two single beds, work desk, and a marble bathroom with bath tub and walk-in shower.